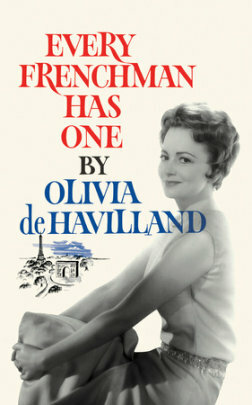 In 1953, Olivia de Havilland—already an Academy Award-winning actress for her roles in To Each His Own and The Heiress—became the heroine of her own real-life love affair. She married a Frenchman, moved to Paris, and planted her standard on the Left Bank of the River Seine. It has been fluttering on both Left and Right Banks with considerable joy and gaiety from that moment on. This was one of the most delightful books I have ever read! Miss de Havilland is so witty and I found myself laughing out loud several times while reading this. It's a very easy read because you just can't put the book down once you start reading it. It's a small volume that won't take you long to read. This book was written in 1961 originally and has been re-published in honor of her 100th birthday. She is 100 years old - can you believe it? Anyway, it's just as wonderful reading this today as it must have been when she first published it. She talks about her life in France after marrying her second husband. She shares the differences in the culture of France as compared to our American culture. Things are quite different and she has some very funny situations as well as some embarrassing events. 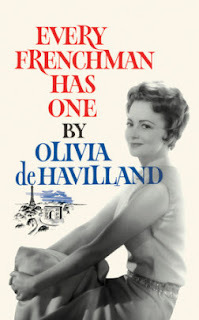 You might think from the title that she is hinting that every Frenchman has a mistress but you'll find out quickly that is a misnomer that we Americans believe. She shares about she and her husband remodeling their home and the crazy things that happened because of the differences in workmen there as compared to here. She also gets into the differences in medical and schooling there. I found it all very interesting and it made me long to live in a culture a bit more laid back. The biggest thing that I would enjoy is that they believe in discretion. Something quite lacking in our own culture, I believe! It was fun at the back of the book where they did a little catch up with her and asked her opinion about how things may or may not have changed in her years of living in France. I found that quite interesting and her wit has not diminished one bit! I loved this book and I highly recommend it! I'm not a huge fan of Hollywood star books but this one has the loveliness of you feeling like she could be your next door neighbor and friend. I give this book 5 out of 5 stars. How interesting! I know this will go on my list to read ASAP.